How cool is this? 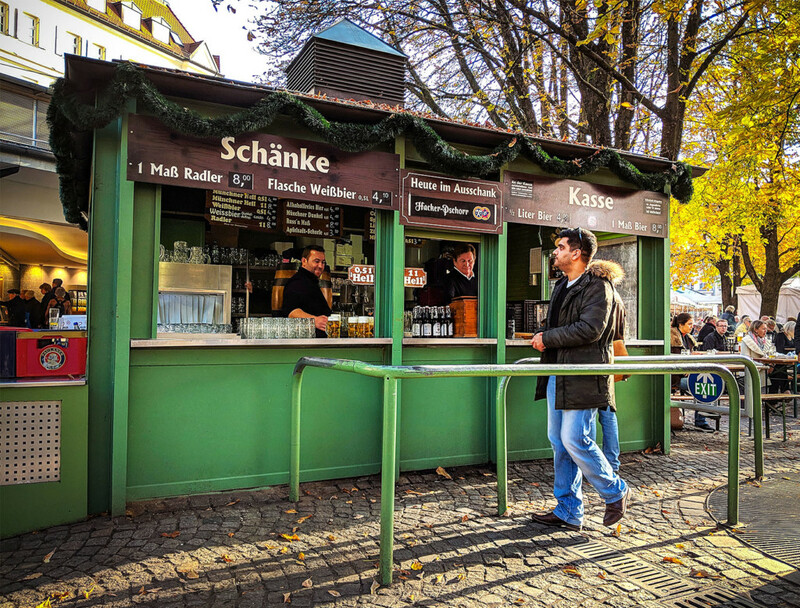 A public alehouse stands at the Viktualienmarkt in Munich. The guy behind the bar draws many pints and 1-liter beer glasses (“Eine Maß”) in advance so that the guests don’t have to wait. A steady come and go, even I did a pint at noon with a portion of weisswurst (“Weißwurst”).